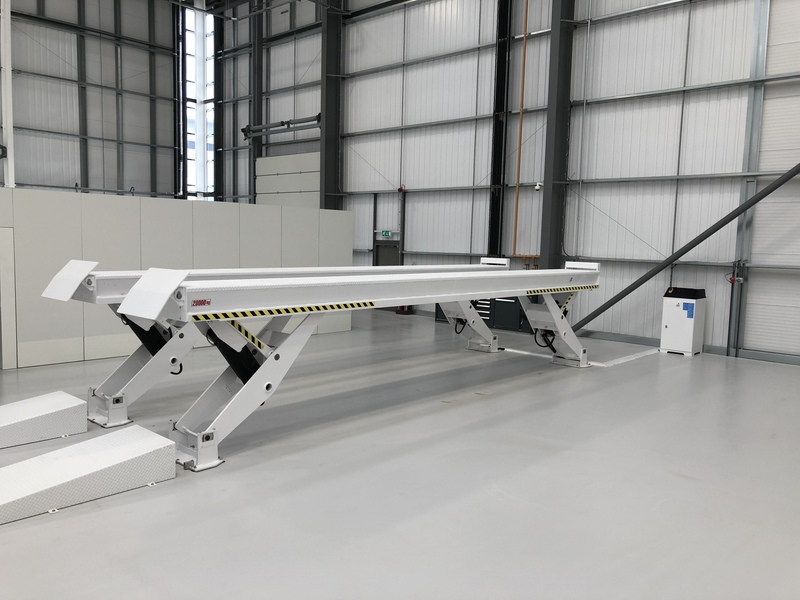 Using Scissors rather than posts, the lift offers easy access with no cross beams to obstruct operators. Available in platform lengths from 6 to 13 metres. Capacities from 20 to 35 tonnes. The lifts are equipped with automatic safety locks. Suitable for recess or surface installation. Accessories include jacking beams & LED Lighting Kits. 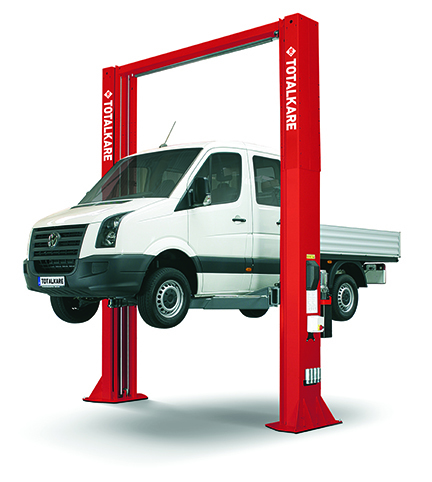 All models can be supplied galvanised for wash bay applications. Supplied & installed across the UK by our own factory trained & GEA Accredited Engineers. 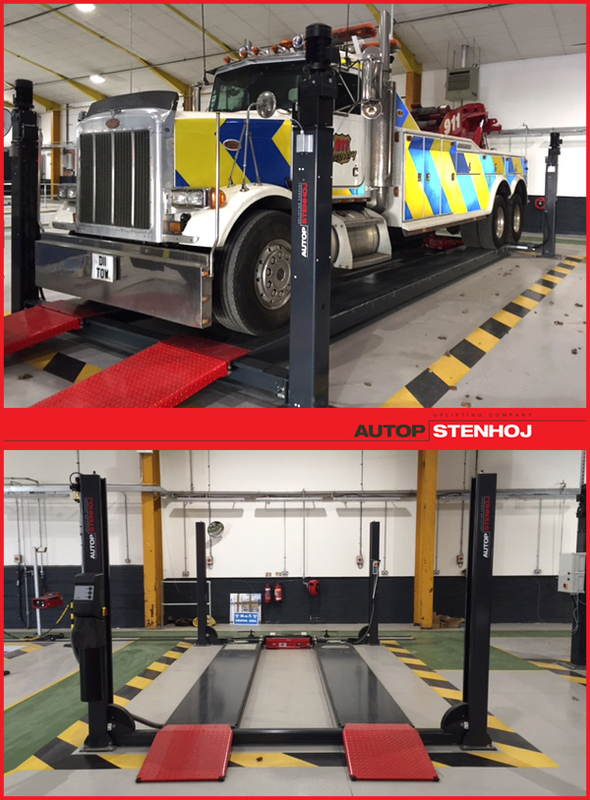 The AUTOPSTENHOJ Maxi Series of commercial vehicle lifts are available with four different platform lengths, and three different lifting capacities; The AUTOPSTENHOJ Maxi 160 featuring a capacity of 16 tonnes, the Maxi 200 (20 tonne) version and the Maxi 240 (24 tonne) version. 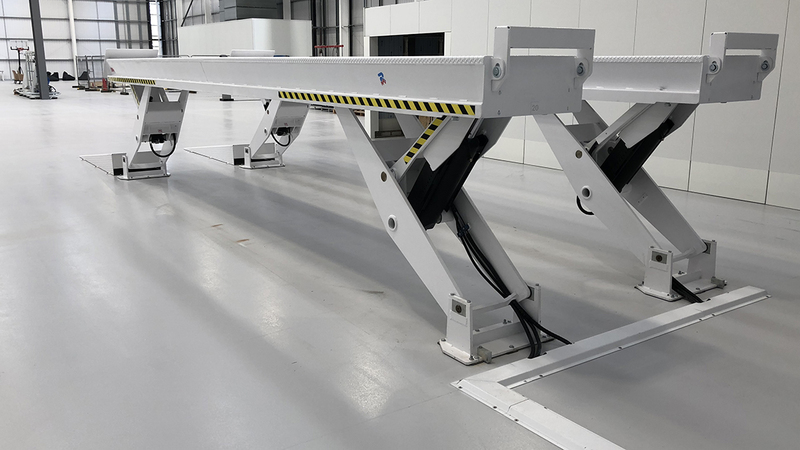 These lifts are electro-mechanically operated and as standard are fitted with an automatic air-operated parking system, friction brake system and large spring-loaded bars and rollers on platforms (for adjusting track width). 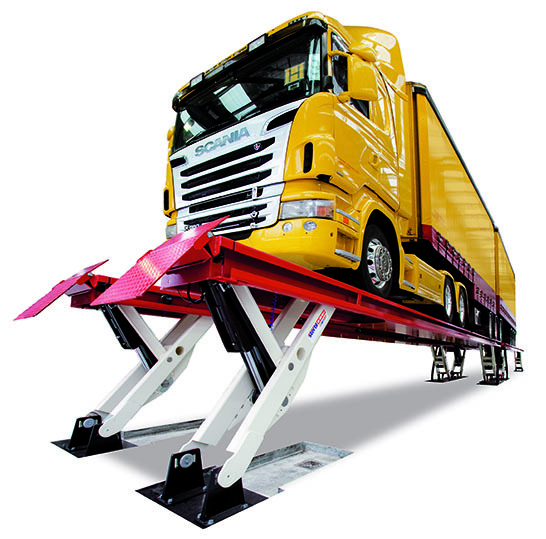 A specialist forklift truck version of this lift is also available for the Maxi 160 (16 tonne) version. 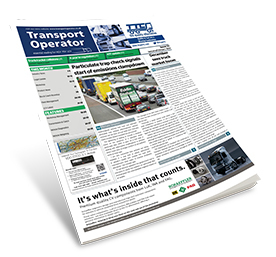 TotalKare used the recent Commercial Vehicle Show to showcase its new Two Post Lift. 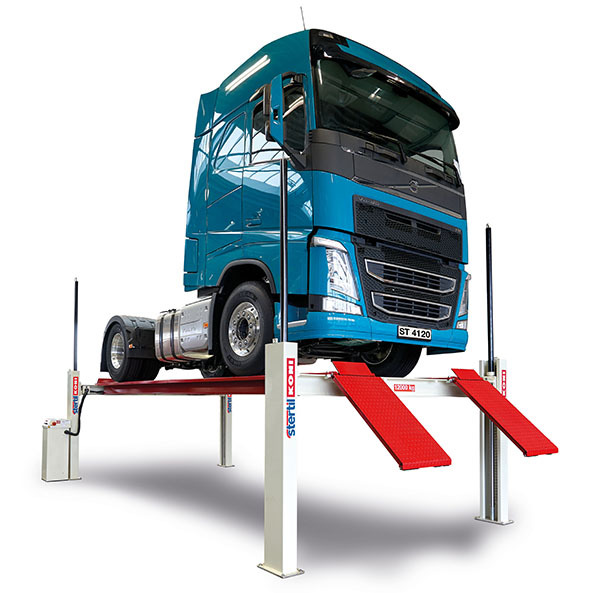 Suitable for vehicles with long wheel bases like the Mercedes-Benz Sprinter, Volkswagen Crafter and the new Iveco Daily Van, the hydraulic lift has a 5,500kg lifting capacity and can be operated from either side. Installation is carried out by a skilled team of engineers following an initial site survey. Operating training is also provided.